Taste test: This snack box contained a 3-oz. can of Bumble Bee Sensations Lemon & Pepper Seasoned Tuna Medley; 2-oz. glass jar of Wild Garden Hummus Dip; a 130-calorie bag of Stacy's Pita Chips Simply Naked flavor; a 3/4-oz. bag of Late July Classic Rich Crackers; a 1-oz. piece of Fino Selections Gouda cheese; a .44-oz Toblerone; a .5-oz box of Newman's Organic California Raisins; a white plastic spoon and knife; a napkin; and a wet nap. First I ate some of the Gouda cheese with a few crackers. The cheese was very, very mild. It went well with the crackers, but a stronger cheese would have been better. Then I tried dipping some pita chips into the hummus, which was nice, as the chips were crunchy and the hummus was surprisingly sharp, with lots of onion and garlic zing. 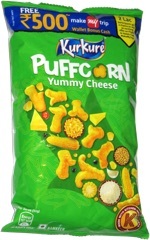 Many of the pita chips were broken into smaller pieces, which made for some messy fingers dipping them into the hummus. The tuna can had one of those pull-tab tops, but it was still very difficult to open. Oddly, the side labeling on the can was upside-down. By the time I got to the tuna, I had used up nearly all of the crackers and pita chips while eating the cheese and hummus, so I ended up eating most of it right out of the can with the spoon. It was mayo-free tuna, chopped up and fairly dark in color. I did taste a slight bit of black pepper on the first bite and more of it in the aftertaste, but I didn't really notice the pepper for the rest of the eating in between. It was decent tuna. The Toblerone bar, though small, made a nice dessert, and the raisins were typical boxed raisins. 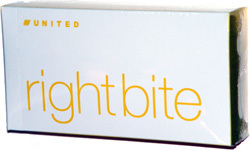 Trivia: United sells these boxes for $5.